We ask that you please make your orders through the website as it helps keep our inventory controlled, lowers our costs which we pass onto our customers, and provides status updates and tracking info along the way. However, if you are having any troubles or have the inability to order online we welcome your call at 1.866.960.0045 7AM-3PM PST on weekdays. We accept Visa, Mastercard, Amex, Interac e-Transfer (EMT) and Direct Deposit at your local TD Canada Trust branch. Direct Deposit and EMT instructions details will be emailed to you after the order is placed based on your selection. Can I add to an order once it's been submitted? No, you cannot edit an order once it has been placed. Most orders ship within 2-5 business days of processing your order and depending on your location most items should be received within 5 business days from time of shipping. Products that were transferred through the CFC and have been approved are generally shipped within 2 business days of receipt of approval. We receive approvals from the CFC by email, mail and fax, we also call in to the CFC every 2 days to check on transfers in case paperwork was missed being sent or to resolve any issues. If there are any issues, we will generally email you unless the CFC tells us that they are contacting you directly. Orders are normally processed within 1-3 business days from the time of ordering though we are always working on shortening that delay of time. Some delays apply for transfer through the CFC for firearms from us to you. Some very infrequent delays may occur; for example if your order is large enough, we may arrange a truck for delivery which takes a bit of extra time or sometimes the product may be way back in behind other product in the warehouse and we may have to move everything to get to it, as much as we try to be prepared, it unfortunately does happen. Please note that all orders, because of our industry, have to be manually processed, as credit card processors consider us a "high risk" industry and thus are not automatically processed as like in most industries in e-commerce such as electronics, health products and clothing. Do you offer local order pickup in Metro Vancouver? Do you offer dealer wholesale? 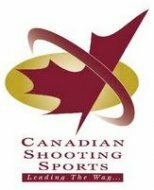 The CSSA is the Canadian Shooting Sports Association -- the voice of the sport shooter and firearms enthusiast in Canada. We support and promote all manner of shooting sports from traditional target shooting competition to modern action shooting sports, hunting, archery, and everything in between. We support and sponsor competitions and youth programs. We conduct numerous training courses and grant certification for Range Officers, Safety Officers, etc. We are also very politically active at the provincial and federal levels in the fight to preserve Canada‘s long firearms tradition, and the right of responsible Canadians to have unrestricted lawful access to firearms. The National Firearms Association is Canada's leader in the quest for fair and practical firearm and property rights legislation. While working for practical laws across Canada, your Association provides access to legal assistance for the defense of the rights of Canadians. In the specific area of "improper storage" charges, in three out of four cases with National Firearms Association help, the Crown drops all charges before the case gets to court. 85% of cases that do go to court are won with the assistance and advice of the National Firearms Association. Frankly put, with National Firearms Association help, many times charges are simply dropped. Members of other Canadian firearms groups often call the National Firearms Association when they require legal information and assistance. And guess what? We help them!